Many of us, I reckon, have children who do well in science and math in school — perhaps we carry the “engineer” gene. But how many of our kids want to follow in our footsteps to become engineers? Probably far more than the percentage of kids without a parent who is an engineer. After all, we can give our children a sense of what we do and how we like our jobs. Chemical engineers in particular seem relatively content with their career choices, according to our 2008 salary and job satisfaction survey (www.ChemicalProcessing.com/articles/2008/048.html). That survey was done before the economy really slumped and major chemical companies announced job cuts. So, it’ll be interesting to see what the 2009 survey, which will appear in our April issue, shows. 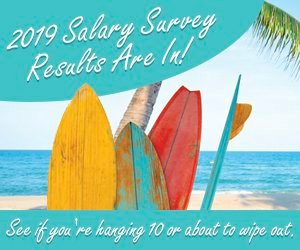 If you’d like to participate, go to http://www.surveygizmo.com/s/96210/cp-2009-salary-job-satisfaction-survey. Positive parental vibes may not be enough, though, because engineering today seems to lack the cachet or at least the attraction of some other technical fields. Making matters worse, the interest of children in general in engineering isn’t very high, according to a survey of both kids and adults commissioned by the American Society for Quality (ASQ), Milwaukee, Wis., that was conducted late last year. The survey, which garnered responses from almost 1,300 8- to 17-year-olds, almost equally split between boys and girls, showed that math and science were popular but also testified to the well-known gender gap — 24% of the boys rated math as the subject they liked most, followed by science at 23% and history/social studies at 16%, while 23% of the girls picked English/reading, followed by math at 20% and art at 16%, with science the top choice of only 12%. The gender factor also surfaced when the kids were asked what careers their parents had encouraged them to think about: 31% of the boys cited engineering versus only 10% of the girls. Far more boys (24%) than girls (5%) indicated they were interested in an engineering career. However, both boys and girls who weren’t agreed on the main reasons why, although at starkly different levels: “I don’t really know much about engineering” (cited by 32% of the boys but 57% of the girls), followed by “I would rather have a career that is more exciting than engineering” (24% versus 36%), and “I am not confident in my math and/or science skills to be good at engineering” (15% versus 27%). The survey of adults, which included almost 600 parents of children under 17, showed far less gender bias. Just about equal (but far too low) percentages of parents said they would encourage their sons and daughters to consider an engineering career (19% versus 20%). All the activities undertaken this month in support of the annual Engineers Week (see www.nspe.org/PartnersStates/eweek.html) help. ASQ, for its part, is posting a webinar called “Real World of Engineering” aimed at middle and high school students (www.asq.org/manufacturing). Many professional organizations, of course, also have year-round efforts to make youngsters aware of what engineers do and to interest them in engineering careers. For instance, the American Society for Engineering Education, Washington, D.C., runs a web site focused on k-12 (www.engineeringk12.org). Individual companies also are trying to address the problem, if necessarily on a less-extensive basis. For instance, Kelly Engineering Resources, Troy, Mich., has carried on a Future Engineers Scholarship Program (www.kellyengineering.us/web/us/ker/en/pages/scholarships.html) for six years. By the way, Kelly announced its 2009 winner in December — Kate Anne Whitacre of Boonville, Ind., who aims to get a biomedical engineering degree. I was pleased to be one of the judges again. Fortunately, the new administration in Washington, D.C., seems genuinely intent on helping to improve pre-K–12 science, technology, engineering and math (STEM) education. Then-Sen. Barack Obama had introduced a bill in May 2008 called the “Enhancing STEM Education Act of 2008” and during his campaign also indicated that as president he would strive to bolster such education. The STEM Education Coalition, a group that includes universities, professional societies, employers and other interested parties, already has expressed interest in working with the Obama administration.